Last week we looked at Colossians 3:1-4 and learned WHY it’s important to think heavenly thoughts. 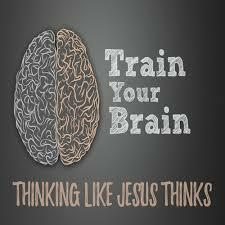 This week, the message will be about HOW to keep our minds on things above. The mind is a battlefield and we need help to be victorious. “You will keep perfectly peaceful the one whose mind remains focused on you.” Isaiah 26:3 Now that’s real peace of mind.